Oprah Winfrey is the recipient of the Cecil B. deMille Award of the 75th Golden Globes. Acclaimed actress, producer, television star and entrepreneur, Winfrey is a Golden Globe nominee for her work in The Color Purple. The 75th Annual Golden Globe® Awards, hosted by Seth Meyers, will take place on Sunday, Jan. 7, 2018, and air live coast-to-coast on NBC from 5-8 p.m. PT / 8-11 p.m. ET from The Beverly Hilton. The news was exclusively announced by 2012 Cecil B. deMille Award recipient Morgan Freeman during the airing of the Hollywood Foreign Press Association’s (HFPA) Golden Globe 75th Anniversary Special on NBC. Chosen by the HFPA Board of Directors, the Cecil B. deMille Award is given annually to a talented individual for outstanding contributions to the world of entertainment. The tradition started in 1952, when the honor went to Cecil B. deMille himself. The award has been given every year, with the exception of 1976. Recent recipients include Meryl Streep (2017), Denzel Washington (2016), George Clooney (2015), Woody Allen (2014), Jodie Foster (2013), Morgan Freeman (2012), Robert De Niro (2011), Martin Scorsese (2010), Steven Spielberg (2009), Warren Beatty (2007), Anthony Hopkins (2006), Robin Williams (2005), Michael Douglas (2004), Gene Hackman (2003), Harrison Ford (2002), Al Pacino (2001), and Barbra Streisand (2000). In addition to her Golden Globe nomination, Winfrey earned critical acclaim in Lee Daniels’ The Butler and produced and acted in the Golden Globe-winning Selma. Winfrey starred in the Emmy-nominated HBO Films' The Immortal Life of Henrietta Lacks and will portray “Mrs. Which” in Disney’s A Wrinkle in Time film adaptation from director Ava DuVernay. For 25 years, Winfrey was host of the award-winning talk show The Oprah Winfrey Show. 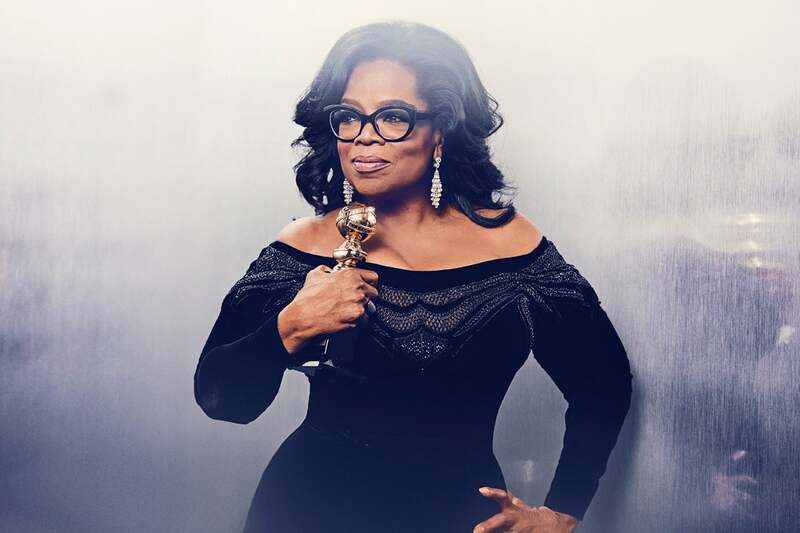 As Chairman and CEO, she's guiding her successful cable network, OWN: Oprah Winfrey Network, is the founder of O, The Oprah Magazine, and oversees Harpo Films. In a recent conversation with the HFPA, Winfrey talked about looking back at her career and where she is at this stage of her journey: "I don’t know anything that is not fun. Well actually, it’s a very simple life except lived on a very large scale. Now, it’s about enjoying the view from this space and finding joy and great pleasure in this career that you have built. And just now choosing what you want to do, what fits in this particular moment, what feels like this is how I truly want to express myself now. And I do believe that every human being here is here on Earth to live up to the altruistic expression of themselves as a human being."